Living the life in our coastal city means enjoying more than just our beaches. 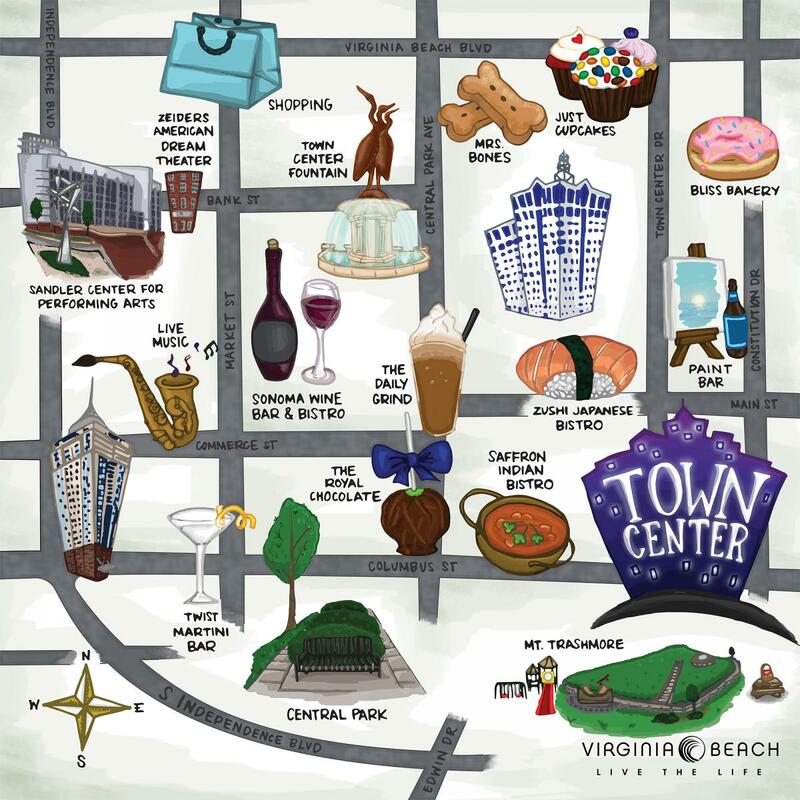 Head downtown to our thriving Town Center to sip on a martini, jam to live jazz or treat yourself to a local sweet. From shop-hopping and dining al-fresco to taking in an evening performance, Town Center provides a walkable downtown experience just a short drive from the Resort Beach, with ample free parking to boot. How&apos;s that for the best of both worlds?